This is the labor history book that the national AFL-CIO sells. It is a thorough and objective account of American labor history from its beginnings to recent times. The powerful story of American labor more or less tells itself. Having read a large number of American labor histories, I am most interested in their treatment of the period from World War II to present. Most histories fail to deal with the period at all, they just end in a glorious fanfare about the victories before 1947. Dray’s book does us the favor of accounting, also, for the long downslide in the union movement 1947 to present. 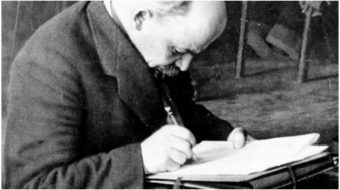 The problem with writing recent history, of course, is that many of the protagonists are still alive and more than ready to sue authors; consequently the writers tend to soft-pedal any condemnations that might have been otherwise deserved. Dray is one of those writers. The 1947-to-present period is discussed factually and unemotionally, without taking sides or making any accusations. The drop in union membership from 37 percent of the workforce down to 11 percent is explained, if at all, simply by a bad mood in America. Americans, one may infer from this history, just weren’t very interested in unions after 1947. To be fair, Dray does talk about the critical turn represented by the Taft-Hartley law. He does explain that the AFL went along with the anti-communist oath that every union leader had to swear, and that the leader of the CIO, Walter Reuther, did too. One could argue that Dray’s account of the expulsion of the progressive union leaders from the CIO speaks for itself. One could credit him for revealing the AFL, and subsequent AFL-CIO, connection to the CIA. But I’d argue that he could also have mentioned the fact that Reuther and the remaining CIO unions raided the unions they had just expelled. He might have mentioned the “Treaty of Detroit” contracts that led American unions toward employer-provided health care and pensions and away from national health care and improved Social Security benefits for everyone. He might have mentioned that labor’s “successes” of the 1950s and 1960s came at the expense of increasing isolation from the rest of the world working class. And he could have credited the coup of 1995 that gave the AFL-CIO a whole new, inclusive, attitude. 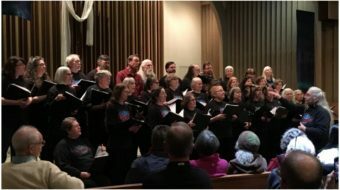 It’s just an opinion of mine, but even though I totally support the direction of the AFL-CIO since 1995, I don’t exactly see how they can overcome the errors of 1947-1995 until they are at least acknowledged, and the AFL-CIO hasn’t done that yet. Neither has Philip Dray in his otherwise excellent labor history book. 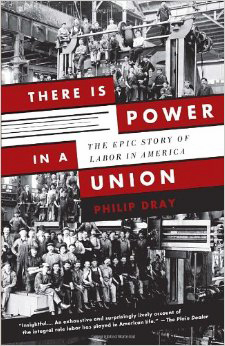 There is Power in a Union, The epic story of labor in America, by Philip Dray,. Anchor Books (Random House), New York, 2010.